There's much to be said about adding your own personal touches to the décor in your home. When it comes to cabinet hardware, however, you may need a little inspiration to discover what may look perfect in your kitchen, bathroom, or other areas of your home. 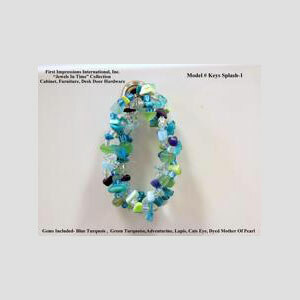 The First Impressions Jewels in Time Collection is a distinctively different way to jazz up appliance knobs, acrylic door pulls, or other hardware. Not only does First Impressions have CAD designers and engineers on staff, we also have a gem designer as well. 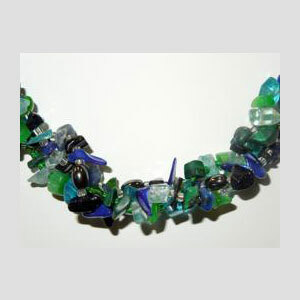 Each pull or piece of hardware contains semi-precious gems and stones. Almost resembling jewelry, these pulls are strong, bonded together with 70 lb. durably strong stainless-steel wire. 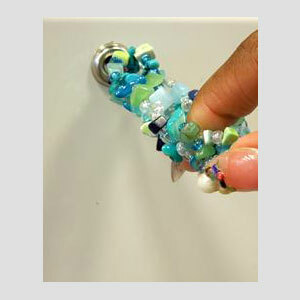 These pulls work exceptionally well as cabinet hardware in your bathroom, or even in your kitchen. They are built to withstand heavy use, meant for years of enjoyment. These truly eye-catching pieces will make a definite positive first impression upon you guests. First Impressions has been in business for nearly 20 years, designing door hardware and other design hardware to our clients' specifications. Look through our catalog to find something that may grab your eye. Most of our designs have been inspired or actually designed by former clients and customers. If you don't see something you like, you can always come to us with your vision or your design, and we will make it a reality. 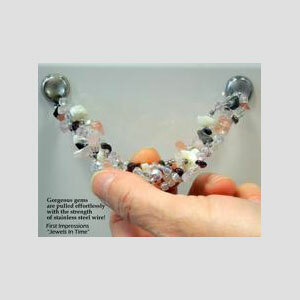 Each piece of the Jewels in Time Collection can vary as well. Use the pictures as a guide, but let us know which gems and what design you would want, and we will make it happen. Contact First Impressions today for all of your needs for appliance knobs, cabinet hardware, and acrylic door pulls. Call us at (954) 419-9918 to speak with a member of our team, or fill out the contact form on our site to be contacted as soon as possible.